One of the prominent players in American football history, Jordy Nelson is a Professional American football player. He is best known as NFL wide receiver in the Green Bay Packers, Professional American team. Today, we will try to disclose his facts including his career, income, retirement, and many more. An American retired professional NFL player. As NFL wide receiver in the Green Bay Packers, Professional American team. Wide receiver Jordy Nelson is retiring from the NFL, according to James Jones, his former Green Bay Packers teammate. The move comes as a mild surprise considering reported interest from the Kansas City Chiefs, Seattle Seahawks and New England Patriots. Nelson, who turns 34 in May, has been released in consecutive offseasons after the Packers let him go last spring. He had 63 catches for 739 yards and three touchdowns in 15 games (14 starts) last season. Nelson had 97 grabs for 1,257 yards and a league-high 14 scores in 2016 while coming off a torn ACL, but he posted just 53 catches for 482 yards in 2017, marking a career-low 9.1 yards per catch. In 10 career seasons, he has 613 catches for 8,587 yards and 72 touchdowns. Jordy Nelson was born in Manhattan, Kansas. He was born to his father, Alan Nelson, and mother, Kim Nelson and grew up with his siblings, Kelsey Nelson, and Mike Nelson. His birth name is Jordy Ray Nelson and birth sign is Gemini. Firstly, Nelson completed his elementary education at Riley County High School in Riley, Kansas, before joining to college Kansas State University. Nelson holds an American Nationality and belongs to white ethnicity. Jordy began his college career as a walk-on at Kansas State and took his redshirt year as a member of the Wildcats’ 2003 Big 12 Championship team. He earned consensus All-American honors and was a finalist for the Biletnikoff Award, which is awarded to the most outstanding receiver in college football, after catching 122 passes for 1,606 yards and 11 touchdowns. He played there for several seasons. Later after his college career, he was selected by the Green Bay Packers with the fifth pick of the second round of 2008 draft on April 26, 2008. It has been 8 years of his career and he continues playing for Green Pay Backers. He is in the contract with his present team. Several awards and rewards have honored him. In 2009, Nelson played in 13 games for the Packers, catching 22 passes for 320 yards and two touchdowns. He also saw action as the primary kick returner for most of the 2009 season. In 2010, Nelson set career highs in receiving yards (582) and catches (45), while catching 2 touchdown passes for the third straight year. He earned a $13 million contract extension with the Packers after his outstanding 2011 season. In 2012, Nelson played in 12 games, starting ten; he missed four games and most of another two due to a hamstring injury. In 2013, he started all 16 games for the first time in his career and was again named a Pro Bowl alternate. In 2014, he signed a four-year extension worth $39 million, receiving an $11.5 million signing bonus toward a guaranteed $14.2 million. In 2015, MRI scans deemed that Nelson had torn the ACL in his right knee. He was named AP Comeback Player of the Year after the 2016-17 season. In 2018, Nelson signed a two-year contract with the Oakland Raiders. After recording 53 yards combined in his first two games with the Raiders, Nelson had six receptions for a season-high 173 receiving yards and a touchdown in Week 3 against the Miami Dolphins. He scored receiving touchdowns in the next two games against the Cleveland Browns and Los Angeles Chargers. After Amari Cooper was traded to the Dallas Cowboys, Nelson's role expanded in the offense. In his last five games of the season, Nelson totaled 38 receptions for 386 receiving yards to give him 739 receiving yards on the 2018 season. On March 27, 2019, Nelson announced his retirement from the NFL after 11 seasons. In 2016, he became NFL Comeback Player of the Year. In 2017, he won Best Comeback Athlete ESPY Award. Jordy was dating his girlfriend, Emily Nelson from his school days. The couple grew up in the same town and went to the same school. They met each other at their school and came close to each other and the couple became official spouse after making an agreement in front of their parents in 2007. His wife, Emily is a kindergarten teacher at Fort Howard Elementary School in Green Bay. The husband and wife gave birth to their children named, Brooks Nelson and Royal Nelson. The couple also adopted a child named Adda Jo Nelson. The couple has a strong bond and there is no sign of their separation. 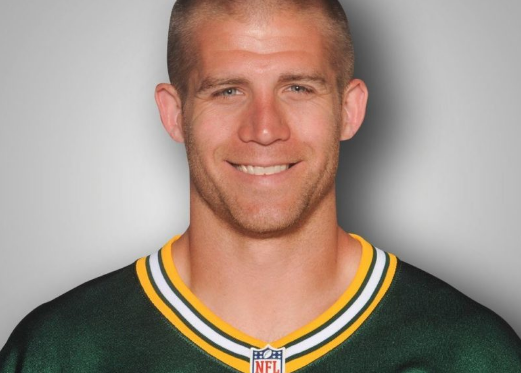 Jordy Nelson is an established American football player who earns an attractive salary from his profession. His major source of income is a football team. As a successful football player, Nelson received a handsome amount of money from the football team which he has added to his net worth. Nelson has a luxurious lifestyle and resides in the United State along with his wife. 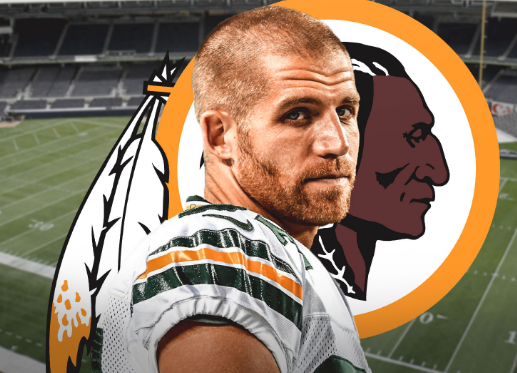 Allocating information from several sources as of 2019 it is found out that Jordy Nelson current estimated net worth is around $24 million. He is currently receiving an annual salary of $39.8 million from his present club. Observing her body statistics, He has a gigantic height of 6 feet and 3 inches and weighs around 98 kg. He has a great personality and looks marvelous when he decided to go shirtless. He has not inked tattoo on any part of his body. Similarly, He has light brown hair and hazel eyes. His other body information was not disclosed yet. In the case of disclosed, we will let you know. He is the only player in team annals to record three seasons with 13-plus TD receptions (2011, 2014, 2016) and is the only active player in the league to do so. Ranks No. 3 in the NFL with 57 TD receptions since 2011 despite missing the entire 2015 season due to injury. He went from being a walk-on safety as a freshman in 2003 to posting the most prolific single season in Kansas State history with 122 receptions for 1,606 yards (13.2 avg.) as a senior in '07 on his way to earning consensus All-America honors.